Australian darlings Eat Your Heart Out have a lot to celebrate. Caitlin Henry [vocals], Andrew Anderson [guitar], Will Moore [guitar], Dom Cant [bass], and Jake Cronin [drums] joined forces in 2012 and have since performed alongside bands like The Red Jumpsuit Apparatus, Knuckle Puck, and Real Friends. The quintet penned Distance Between Us in 2015 before signing with Fearless Records this year. 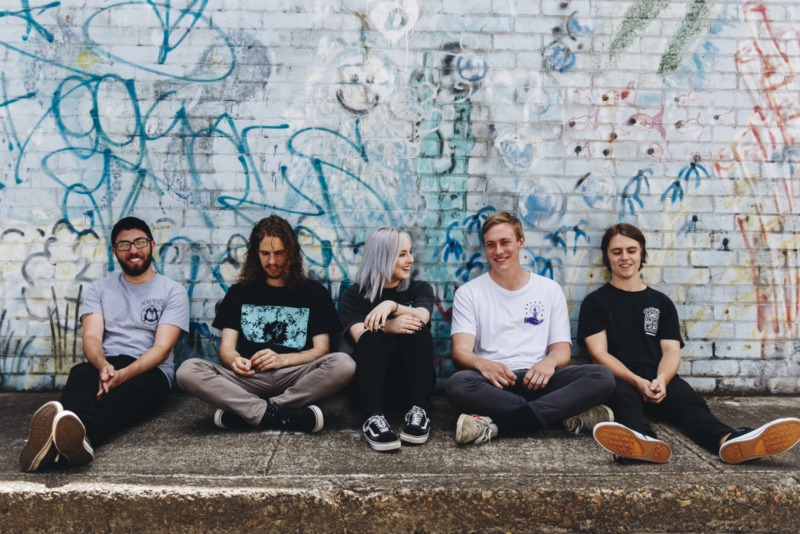 December 1 marked the release of their latest EP, Mind Games, featuring the explosive single, “Conscience.” EYHO’s catchy mix of emo and pop punk is catapulting them into fans’ hearts the world over. We caught up with frontwoman Caitlin Henry to talk about the new album and what’s next for this talented group. S&S: How did the five of you form the band? Did you know each other prior to playing together? Caitlin: All of us, except Dom, went to the same high school. Andrew and I were in the same year and decided we wanted to make a band, so I asked Will to join on guitar, and he was studying a music production course at the time with Dom, so he asked him to join as a bassist. Jake was in the year below Andrew and I and was basically the only drummer we knew so we asked him to join, but we didn’t think he’d want to be a part of it permanently, so it was kind of meant to be a temporary thing while we found someone else.. but we got on great and Jake is an amazing drummer so it stuck! S&S: How excited were you when you signed to Fearless Records? What came into play when deciding to sign with them? Caitlin: Signing to Fearless has been one of our most exciting achievements as a band so far, and the opportunities they’ve given us already have been incredible. It’s a really cool feeling knowing your music is going to be presented on this huge platform to so many people that never would have heard us otherwise. We did have another Australian label interested at the time we were signing, so we had to weigh up the options there but ultimately decided that Fearless would put our music on a bigger worldwide platform, and we just felt really excited by the passion Fearless had for us and our music. S&S: Congrats on the release of Mind Games! Can you tell us a bit about your inspiration for this record and the writing/recording process? Caitlin: Thank you! This whole record is inspired by the struggles around mental health, and the idea of going on a journey of self-discovery but not being satisfied with what you’ve found. The writing process usually starts with Will presenting an idea for an instrumental part or a chunk of lyrics, and then all building from there. This time around was different than other recording processes we’ve experienced, as we spent a solid four or five days on pre-production with our producer Zach (Tuch), all collaboratively writing and re-writing sections of the songs until we were happy. It was refreshing to have a new set of ears to hear the songs we’d developed so far and to hear Zach’s opinion on what could be done to improve them. S&S: How did you hook up with Patrick Miranda from Movements on “Conscience”? We love the video, by the way! Caitlin: Thank you! We knew from early on in the writing process of Mind Games that we wanted Pat to feature on one of the songs, and we had previously discussed the idea with him and Fearless and everyone were very keen for it to happen. Our producer Zach had done some work with Pat on Movements’ debut record so he was very close with him, which was also super helpful! We didn’t know which song we wanted Pat to feature in initially; we had two different parts in mind, but once we finished recording “Conscience” we were certain that was the one we wanted him to be a part of. Getting him in the video was a little tricky as Movements were super busy, on tour and promoting their new record, but Kieran (who directed and filmed the video) luckily had some connections in the US and worked really hard to make it happen! S&S: Will you be hitting the road in the new year? What can we expect from EYHO in 2018? 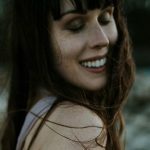 Caitlin: We are still establishing our plans, but we really hope people enjoy the EP and want us to come see us live! If you vibe the new music, make sure you share it around so we can come play a show for you! 2018 will hopefully consist of touring on the EP as much as possible and beginning the writing process for our next release. S&S: You guys are pretty young and embarking on a wild ride that others your age could only dream of! What advice have you received from bands you’ve met or played with? Caitlin: The best advice we’ve received from other bands is just to stay true to our sound and not feel pressured to change our vibe to fit someone else’s ideals. Also, never read the comments on YouTube because they are brutal. Haha!